Following a cremation a decision will have to be made as to what is going to happen with the remains. The most obvious answer is for the cremated remains to be scattered or buried in the Garden of remembrance at the crematorium. There is no law mentioning the scattering of ashes on ordinary land or in rivers. There is, however the issue of consent being needed to put something on someone else’s land. Eco-friendly urns are available for the storage of cremated remains. For families requiring a more dramatic way of scattering ashes we are able to arrange for the ashes to be made into a firework for either individual release or as part of a display. Having your loved ones cremated remains scattered by fireworks can be a fantastic tribute and celebration of their life. All firework displays are bespoke. They are created, manned and fired by a professional pyrotechnician. The pyrotechnicians available have worked worldwide on high profile events. 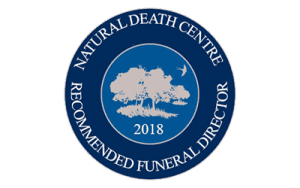 They are sensitive to the needs of bereaved families and put time and effort into getting everything right for a perfect send off into the night sky. This spectacular tribute can have particular favorite colours and styles of fireworks. It can be full-on with lots of noise or can be something quieter and more gentle. The families that we have arranged this service for have been delighted and found the scattering of their loved ones ashes a moving and uplifting experience. We are able to arrange for the ashes to be scattered by plane across either sea or land. We can also arrange for families to take a chartered boat and scatter the ashes at sea. “I want to say thank-you for providing such a helpful and caring service. Everybody was able to enjoy scattering Dad’s ashes at sea, because even though it was a sad day, the sun was shining and the crew were lovely. We also arrange a keepsake of your loved one in the form of a pendant or ring crafted from glass containing a small amount of their ashes. Available in four different colours.